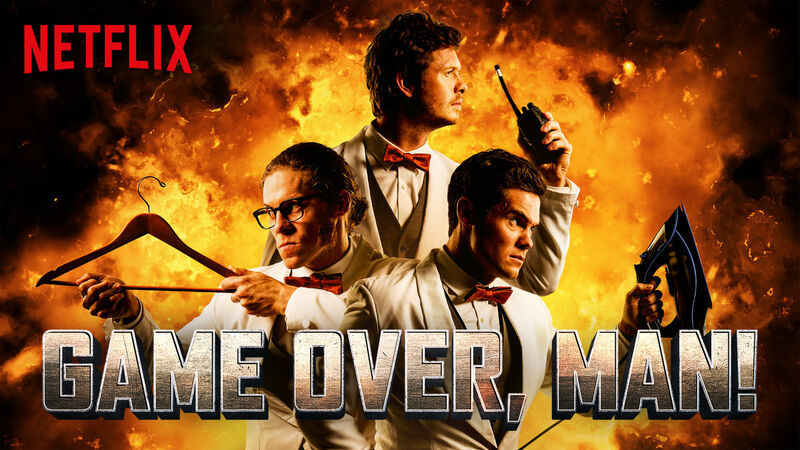 The trio behind Workaholics (Adam DeVine, Blake Anderson and Anders Holm) have made a Netflix movie, that is basically Die Hard: With a Dirty Vengeance. Our three characters are housekeepers in a hotel, and terrible at their jobs, but they want to do more, and they may get their opportunity when their crazy perverted boss assigns them to the party of a lifetime with the Bae of Tunisia (Utkarsh Ambudkar). But when the hotel gets taken over by his faux security team, in order to get all his money, our “heroes” hop into action to save the day. From Home Alone style tricks to getting very lucky, the group will go to all ends to get out of the hotel in one piece. This movie is loaded with big names, as Neal McDonough leads the security team (which includes Steve Howey), and random people are at the party (such as Joel McHale and Donald Faison). Goofy and dirty, it’s a good release movie, and gets a 6.5 out of 10.